Neck and shoulder pain will be reduced or prevented by using ergonomic office products that will help eliminate the stretching and twisting that contribute to neck and shoulder pain and ensure you are comfortable while you work. 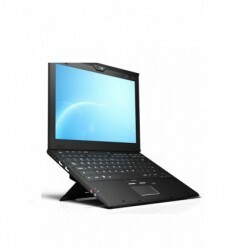 Computer workers suffering from neck pain often need to rest their neck more often. 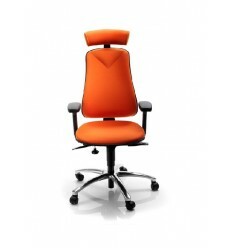 Our Office Chair for Whiplash provides the extra support needed, helping to avoid further neck strain and damage. A contributing factor of neck and shoulder pain can be if your monitor screen is at the wrong height for you. To work out the best height, a general rule of thumb is that the windows menu should be level with your eyes. 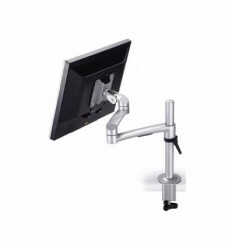 A Monitor Arm will help you to place your monitor screen comfortably. 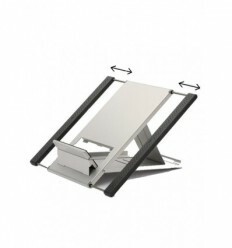 Likewise the Laptop Stand adjusts your laptop and places the laptop screen at a comfortable height and distance, helping you to avoid twisting and straining your neck. We recommend you also use an seperate keyboard and mouse. Twisting your neck to read a copy placed either side of your keyboard can also aggravate neck pain. 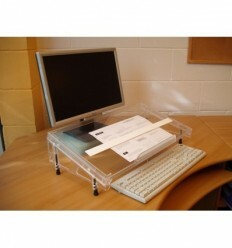 A Document Holder placed directly in front of you can greatly reduce stress on your neck particularly if you do a lot of typing. A simple Telephone Headset will help you avoid the straining your neck to the side. 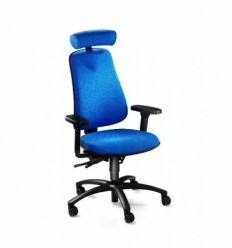 Armrests to suport your arms can help reduce the strain and tension on your neck and shoulders. Your arms should be at a comfortable right angle to the desk, and the arms of your chair should support this angle - if your chair has fixed height arms, then it might be worth purchasing an ergonomic office chair with height adjustable armrests. 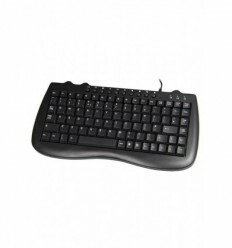 Ergonomic Mice and Keyboards help you to arrange your work as near to you as possible, putting less strain on your neck and shoulders. 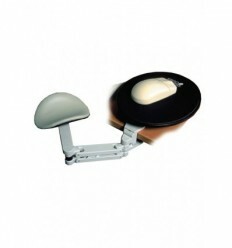 Desk raisers will help you adjust your desk height so that you arms can rest comfortably on the desk, preventing tension building up in your neck. If stress related - Relaxation Zone. Stress is becoming an issue for many workers. Employees are facing stress from home, work and lifestyle. All aspects of an employees life impinges on their work. A Relaxation Zone is a quiet place for employees to unwind and boost their batteries. A happier employee means a happier more productive work force. 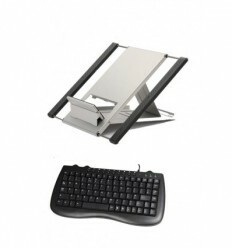 Choosing the correct monitor arm, document holder, keyboard and mouse will put less pressure on the body - less twisting and turning needed to do your work. 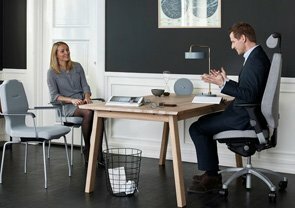 An ergonomic office chair can be adjusted to fit you. We spend many hours a day in front of our computers we should invest in ourselves - increased cmfort will result in increased productivity. Ergorest with Mousepad is a moving arm support that reduces stress and tension in the arms, neck and shoulders, thus relieving neck pain shoulder and arm pain. Winner of the Tylenol Arthritis Foundation Design Award. A natural arthritis treatment to reduce pain. 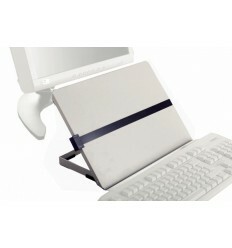 The Ergo P laptop Stand and Mini Keyboard will help you avoid neck and shoulder pain. 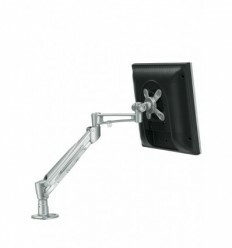 Screen arm with gas spring for easy adjustment.